On the one hand, Lady Gaga's stripped-down new album is a brave reinvention from a pop star who has generally embraced excess. 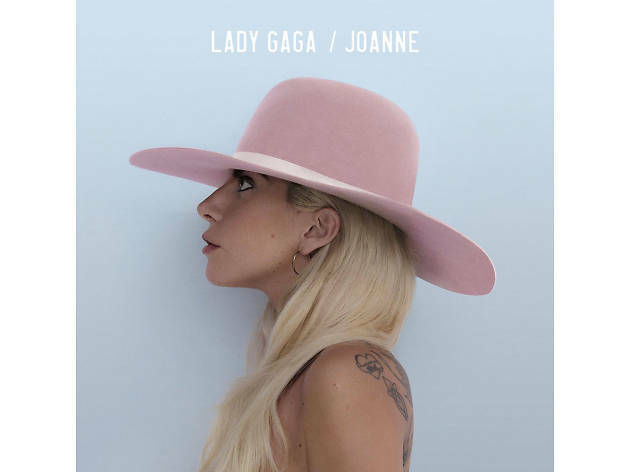 Yet on the other, the gutsy dive bar singer that 'Joanne' introduces feels like her latest shape-shifting guise; in a way, posing soberly wearing a pink cowboy hat on your album cover is just as contrived as turning yourself into a Jeff Koons sculpture, which Gaga did for 2013's 'Artpop'. Either way, 'Joanne' will surprise fans who associate her with bombastic electro-pop songs like 'Bad Romance' and 'Poker Face'. Co-produced by Mark Ronson, 'Joanne' is a relatively gritty mix of rock stompers, country-flavoured tunes and folky ballads on which, much like Sia, Gaga relishes the characterful cracks in her voice. At times, she commits to her theme too literally: a track called 'John Wayne' (groan) is about ditching boring city guys for 'blue collar' dudes from Republican states. But 'Joanne' also contains some of Gaga's most tender songwriting. 'Diamond Heart', a song about a stripper doing her best to get by, manages to be both anthemic and affecting. Florence Welch duet 'Hey Girl' ends with the touching image of two teenage girls walking home together after a night out in New York's Bowery. Despite the odd mannered moment like 'Come to Mama', a wannabe Springsteen belter that sounds more like a cheesy show tune, Gaga mostly pulls off her roots move. Is it just a phase? Oh, probably – but pop on your pink cowboy hat and give it a go.